Rockin Interview with Kim, the CEO of Rockin' Green Soap! Since Rockin' Green Soap is on Knickernappies list of approved cloth diaper detergents we thought it'd only be appropriate to get to know Rockin' Green and the mama behind it a little more. Plus who doesn't love a behind the scenes look inside one of the cloth diapering worlds fastest growing and most popular product lines. Below you'll find Kim, the CEO of Rockin' Green Detergent's answers to my interview questions. Enjoy! How and when did you decide to use cloth diapers? My oldest kept getting really bad diaper rashes, and my mom suggested that we put him in cloth just for a few days to let his bottom heal. I bought a few diapers on craigslist, and have been hooked ever since! When did you get interested in making your own detergent and why? We all have really sensitive skin, and some of the hardest water in the country which is a double whammy when it comes to washing cloth diapers. So, if I found something that didn't break my kids out, it left me with stinky, repellling diapers! So I decided to come up with something that gave me clean diapers and happy kids. At what point did you realize that Rockin' Green was going to be a hit with the cloth diapering community? Oh, that's a tough one. I still don't think it's sunk in yet- LOL! What sets Rockin Green apart from other detergents? 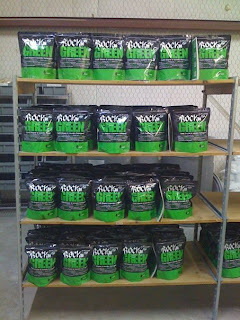 Rockin' Green has fun, natural scents and customized formulas which means that there is something for everyone. 85% of Northern America has hard water, and most detergents don't address hard water issues. Where do you think most families go wrong when it comes to laundering their diapers and why do you think so many have trouble? In the beginning, washing diapers can be scary. You go to the message boards and hear all the horror stories....you see people doing crazy chemistry experiements in their sinks trying to rid themselves of stink. My advice: keep it simple, and know that it is really hard to ruin your diapers. A little bit of diaper cream on a diaper...is always fixable! What does the future hold for Rockin' Green? Lots of new projects in the pipeline! I spend countless hours working with industry leaders in the chemical, environmental and government sectors to get the best of the best. We are always testing new things, and pushing the boundaries. We are launching a new product in November, which I am REALLY excited about! It's something that the cloth diaper industry really needs. We have also been working on revamping our classic and soft rock formulas, thanks to customer feedback, so you can look for that this winter. And then in January we have two new lines of products that we are releasing. I have been busy! 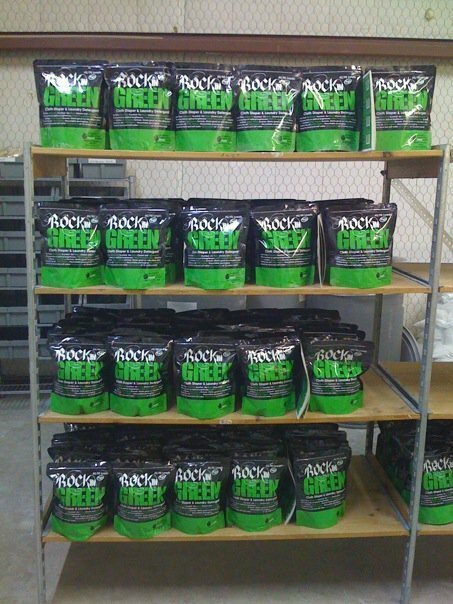 Well I don't know about all of you but now I am dying to know about the new products that Rockin' Green will be coming out with next! Anyone have any guesses on what they'll be? We just recently tried Rockin' Green in Hard Rock and have been pleased so far. We're using it on diapers and towels because they just didn't seem as clean as I'd like. I love having a formula just for hard water!